It’s hard to escape zombies. The Walking Dead TV series just wrapped its fifth season this past week, and my entire family huddled around the television to see where the story would leave us until our favorite survivors of the zombie apocalypse were back again. Until then, there’s a spin-off series called Fear The Walking Dead premiering this summer which tell the tale of the beginnings of the zombie outbreak from the perspective of a different group of survivors in Los Angeles. There’s also the original monthly Image Comics series (currently at 139 issues) I’ve been reading for more than ten years now for a story that both parallels and differs from the story the TV show portrays. There’s certainly plenty of zombie stuff out there to keep me going. 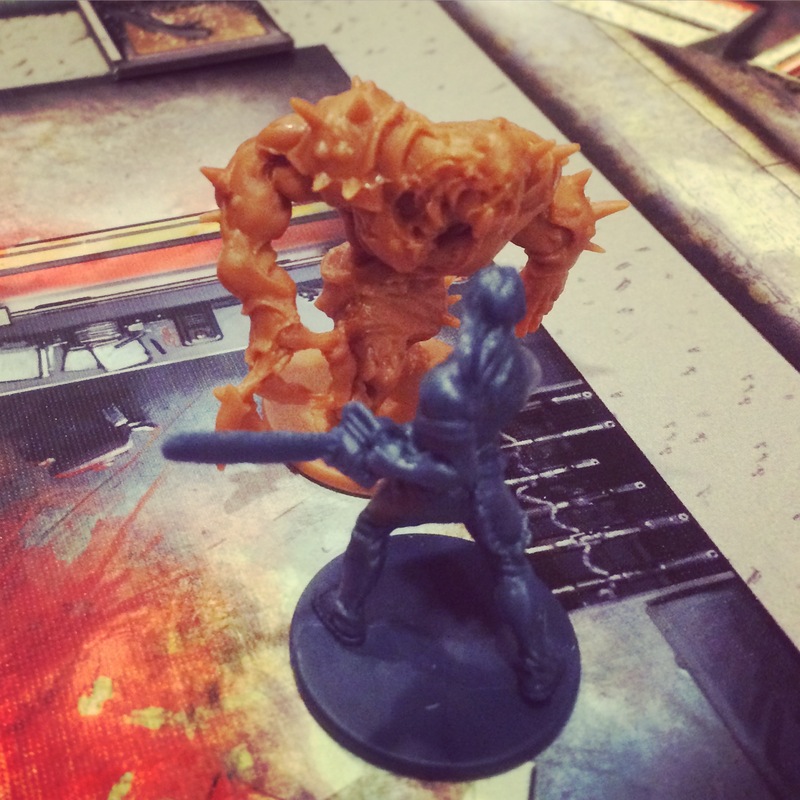 About two years ago I also got hooked on Zombicide. Lots of people caught the bug, judging by the continued success of the game. The first game launched based on a nearly $800,000 Kickstarter funding campaign in late 2012. 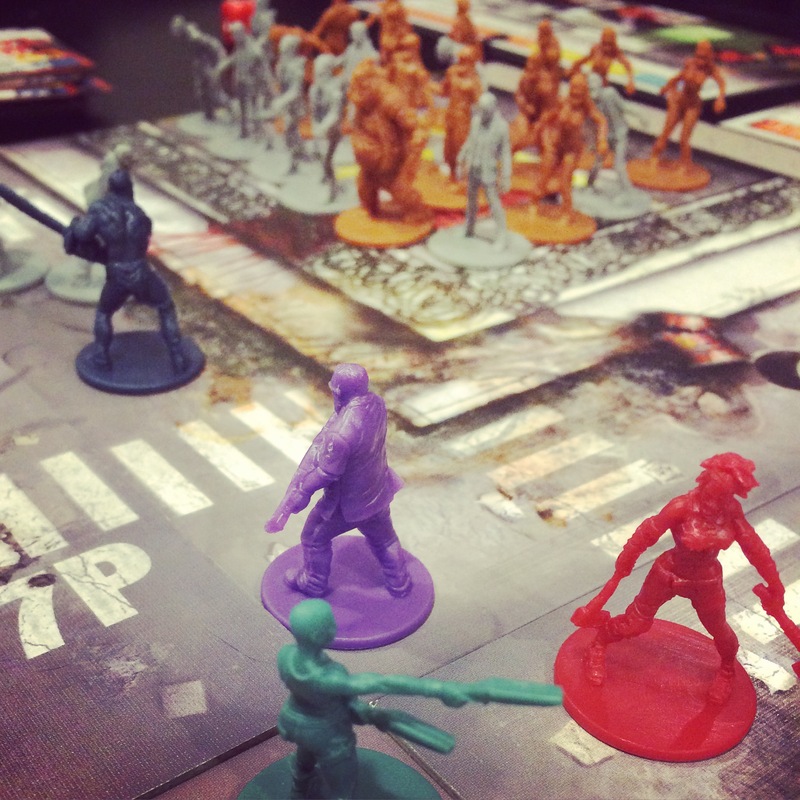 The following year, Zombicide Season 2 brought in over $2.25 million on the funding site. This past summer, Zombicide Season 3 topped that number with nearly $2.9 million raised. The maker of the game, Guillotine Games, has also maintained a steady flow of additional special edition products, a companion app, free customizable game resources and dozens of scenarios available online. 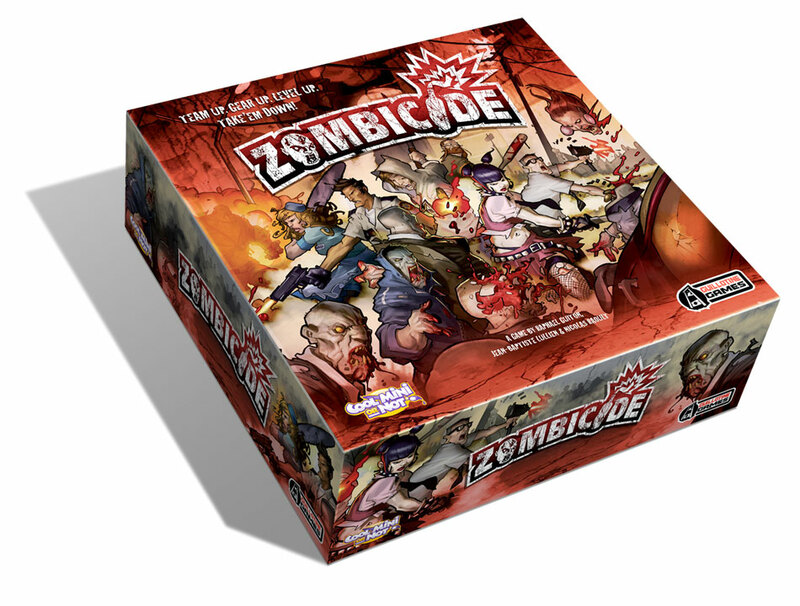 With the new Zombicide Season 3 just being shipped to players worldwide this month, there’s even been hints at a Season 4 which throws back to a Medieval-themed zombie outbreak. The base game has been a big favorite at my house for a couple years, and this past week we added Zombicide Season 2: Prison Outbreak to our home collection. 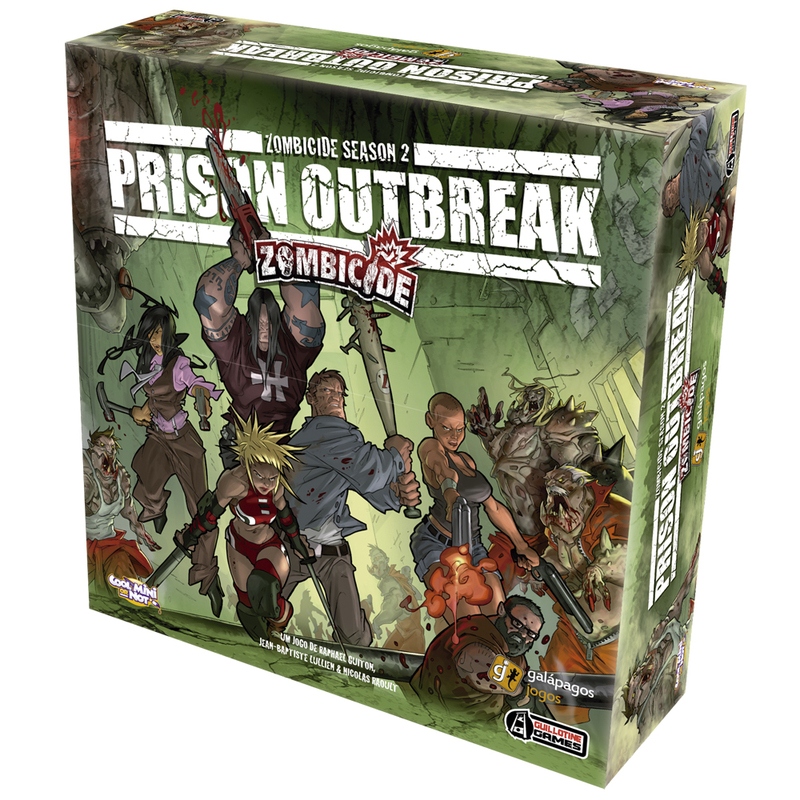 As with the original base game, Prison Outbreak is big heavy box of zombie gaming goodness. Nine game two-sided game board tiles, about 150 cards, over 100 tokens, dice, Survivor player cards and 90 miniatures pack the box with components oozing in great design. This time around, the game adds a bunch of new aspects to play. 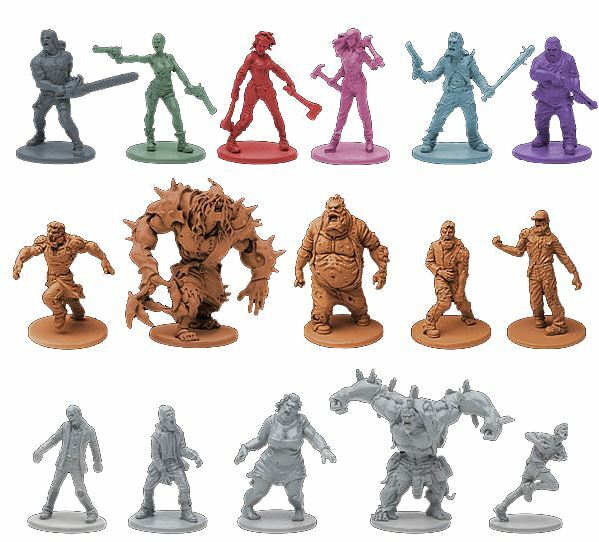 Firstly, the miniatures come with some differences for both the zombies and survivors. Berserker zombies, cast in a muddy brown, bring a new aspect to the undead horde with Walkers, Runners, Fatties and an Abomination which must be attacked at close quarters in melee combat. This means more risk for players having to get right into a messy scrum with Berserkers using baseball bats, nightsticks, hatchets, hammers or saws, leaving ranged firearms for the original zombies molded in grey plastic like the base game. With the game amped up with more danger, the players too have received an upgrade with the possibility of coming back as Zombivors. Yeah, that’s an undead player which comes with an extra model and reverse side to the Survivor identity card. 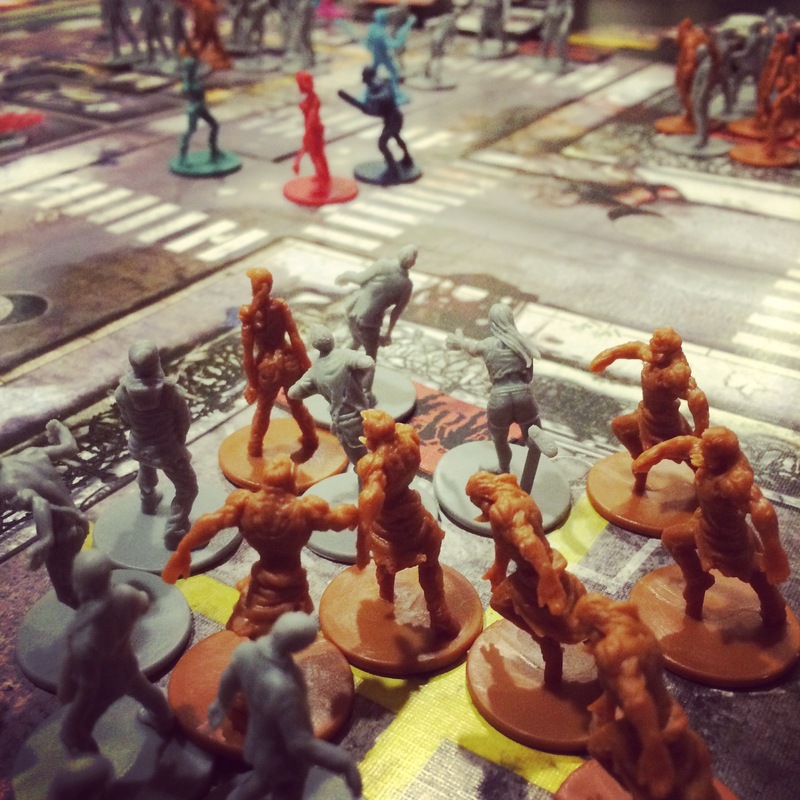 After a player is hit twice and killed by a zombie, the Zombivor comes on the table and the player fights on and may take five more wounds before truly being dead. Things happen a lot faster in Prison Break as players are forced to quickly rack up zombie kills, pushing the experience level up in the game and spawning more and badder zombies onto the board each turn. To help out, a lot of new special skills have been added to the Survivors, allowing players to draw zombies toward them with “Taunt,” rescue other survivors from neighboring spaces with “Lifesaver” and a bunch of other new abilities once a player turns into a Zombivor. The combination of new weapons and skills balances nicely with the new threats from Berserkers in Prison Outbreak. Playing through the first few of the ten scenarios supplied in a storyline campaign, we’ve quickly found a good combination of using skills to draw zombies into close combat with characters armed with hefty melee weapons like the concrete saw while defending with nightsticks and riot shields. In a pinch, a molotov cocktail can still take out a mass of undead in one throw, but the game only amps up with so many points scored with one huge kill. Balancing skills, finding the right weapons, getting them into the best Survivor’s hands, timing when to kill and when to elude zombies, and making the decision to allow a character to die and resurrect as a Zombivor all makes Zombicide Season 2 an enormous amount of high-stakes fun over and over again. 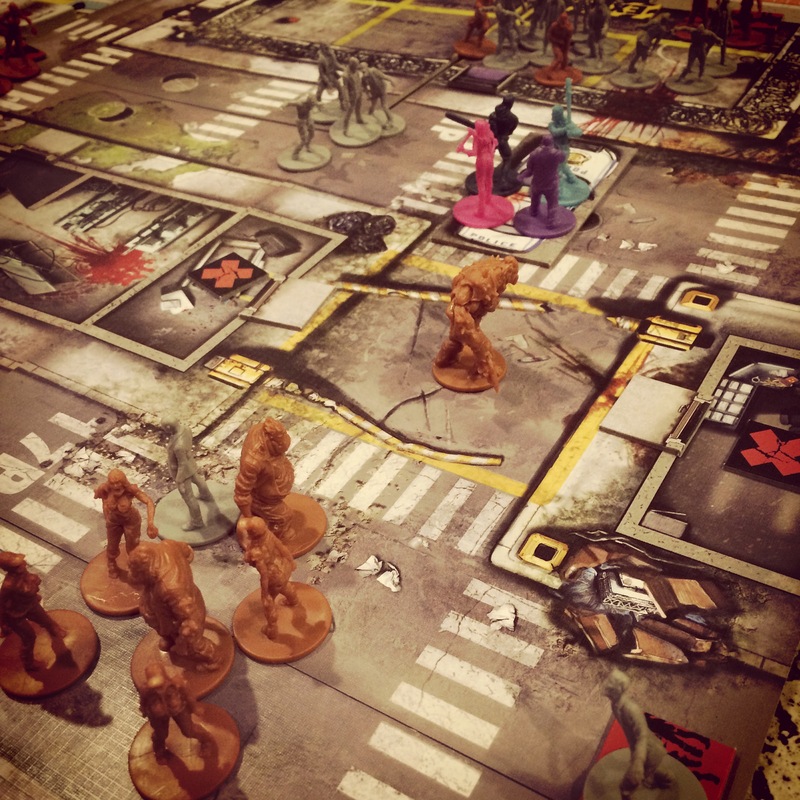 Tagged: AMC, board games, comic books, Cool Mini Or Not, Fear The Walking Dead, Guillotine Games, Kickstarter, miniatures, The Walking Dead, Zombicide, Zombicide scenarios, Zombicide Season 2: Prison Outbreak, Zombicide Season 4, Zombicide: Season 3, Zombies!! !